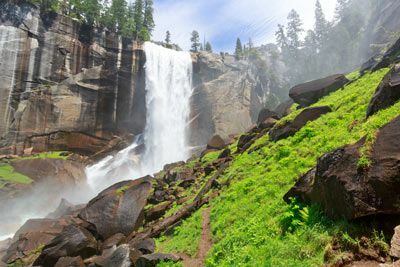 Yosemite embraces a spectacular tract of the Sierra Nevada, which was set aside as a National Park in 1890. 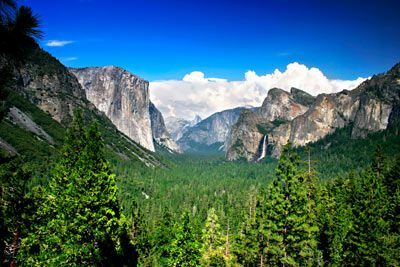 As the crown jewel of the National Park system, Yosemite has been an unforgettable scenic wonder and vacation destination for over one hundred years. 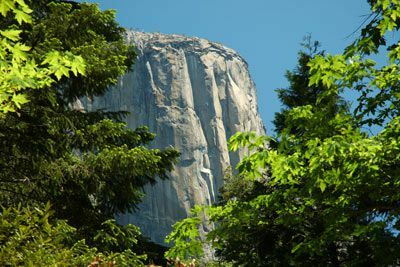 Here you will find sheer walls of granite, numerous waterfalls, towering Sequoias, and a ceramic blue sky. Yosemite Valley, about 3,000 feet deep and just a mile or two wide, is known for its landmark rock formations. Half Dome is perhaps the most recognized symbol of Yosemite, rising over 4,000 feet above the Valley floor. 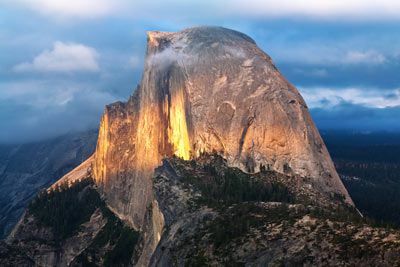 Most people agree that the vista views of the high country and Yosemite Valley, including Half Dome and three waterfalls, are the most spectacular in the park. Yosemite is home to a variety of animals, though they’re not always easy to find. Find a quiet spot during early morning or early evening and you may catch a glimpse of wildlife in action, including bear, raccoon, coyote, and deer. With museums, historic buildings, and cemeteries, Yosemite National Park is rich in cultural history. Far from city lights, the dark night sky is kept bright by the countless stars. Take your pick of over 150 activities such as hiking, horseback riding, wagon safari, jeep tours, fishing, swimming, painting, photography, mountain climbing, wall climbing, logging train rides, whitewater rafting, bird watching, shopping, spa treatments, panning for gold, or cross country, trail, and downhill mountain biking. The park is approximately 1-1/2 hours from Fresno Yosemite International Airport (FAT) and 3-1/2 to 4 hours from both Oakland International Airport (OAK) and San Francisco International Airport (SFO). Having a rental car is suggested to give you full access to all the park has to offer. 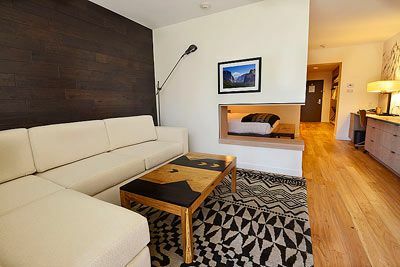 Just a few minutes from the south entrance to the park, Tenaya Lodge offers a scenic and tranquil setting, delightful restaurants, and a top notch spa to massage away the aches and pains from a day of hiking the waterfalls, biking the trails, or rafting the river. The Lodge’s expert activities staff and Guest Experience Center can book you into a variety of alpine activities. 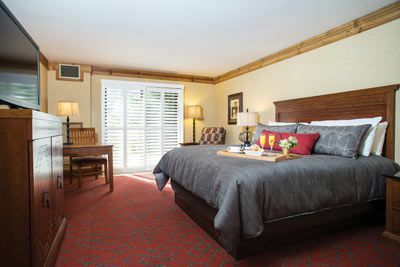 Each of the guest rooms has a mountain lodge feeling with luxurious down bedding, individual climate control, coffee maker, iron/board, hair dryer, cable TV, and safe. There are both indoor and outdoor pools as well as a fitness center. 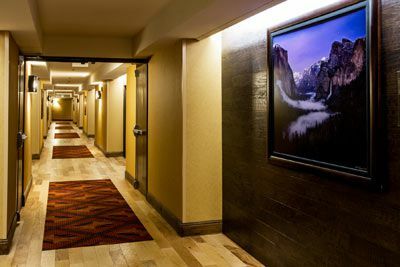 From the grand lobby to the graciously appointed guest rooms, you’ll find the best National Park experience during your stay. PARK ENTRY FEE:7 day pass: $35 per vehicle (no per-person fee). Annual Pass: $70. Park entrance fees subject to change without notice. 0830 Modern Pacing and Defibrillation in the Operating Room: Use a Magnet or Not? 0945 Austere Anesthesia: Where Did the Anesthesia Machine Go? Certified Registered Nurse Anesthetists: This program has been prior approved by the AANA for 20 Class A CEC; AANA Code #1035728; Expiration Date 9/14/2018. $100 July 12, 2018 to August 11, 2018. No refund after August 11, 2018; however, 50% of tuition paid may be applied toward tuition for another NWAS program within the next 12 months. Cancellation must be made in writing.